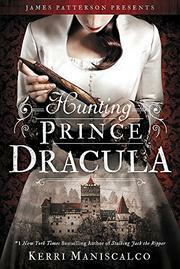 Audrey Rose and Thomas return with Dracula-themed murders in the sequel to Stalking Jack the Ripper (2016). Biracial Audrey Rose, her father a white British noble and her mother of Indian descent, is reeling with grief following the conclusion of the Jack the Ripper case when she and Thomas, who is white, head off to Romania to study at the Academy of Forensic Medicine and Science. While they are en route on the Orient Express, another passenger is found murdered, with a stake through the heart. At the academy—in what was once Dracula’s castle—they learn that they haven’t actually been accepted and are in a competition to determine which two of the nine students will be offered places. Rather than concentrating solely on their studies, the duo investigates the bodies piling up—some drained of blood like a vampire kill, others staked like a killed vampire. Throughout the mystery, narrated in Audrey Rose’s appropriately gothic, overwrought voice, there are plenty of suspects and red herrings as well as tense escalations. In the less murderous subplots, Audrey Rose struggles to win her place in the school and holds back from chaste romance with Thomas because she doesn’t want to have to ask any man, Thomas included, to allow her freedom. The supporting cast includes more women than the first, one a lesbian, and an African-American male supporting character. The ending promises a third book.